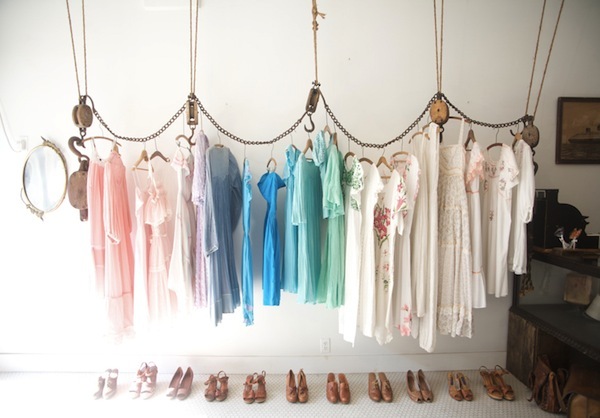 Beautiful clothes deserve beautiful homes. The problem is when it comes to the 'real world' we have to make do with the space we have. And unfortunately luxury walk in wardrobes aren't usually on the cards. Recently, I had to perform one of the most undesirable tasks, a clothes lover's (and occasional hoarder's) cardinal sin. A closet clean out. Now this made me realise two things. Number one. I don't have enough room in my wardrobe. If I had more I wouldn't need to be doing this. Number two. My wardrobe cannot be organised. No matter how hard I try to have some sort of system- colours, seasons, whatever- things just go array. Clothes fall of their hangers. Pieces somehow drift into the abyss that is the back of my closet. And things just get covered up by other things until I have an extreme Russian doll situation on my hands. 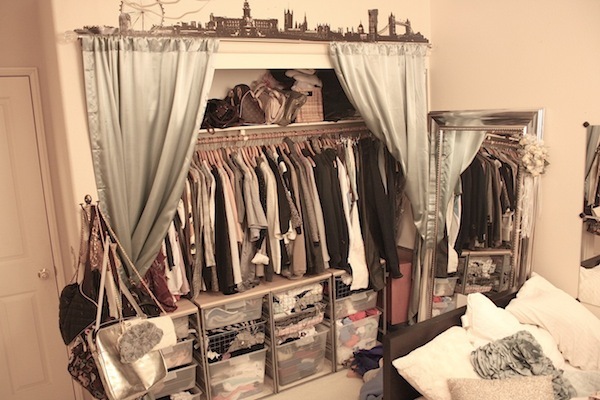 So I figured while my wardrobe and it's whole presentation is an absolute disaster, I'll show you some beautiful, inspiration closet and showroom designs. If I could something like any of these I would be one happy camper.